Description - Mega Clic French Oak collection offers attractive white and grey wood looks at the affordable price of a laminate flooring. Certified to meet safety standards, this laminate plank flooring is safe for the whole family, so you don't have to worry about anything.Safe for installation on any level of the home, the Mega Clic French Oak collection can be installed virtually anywhere. 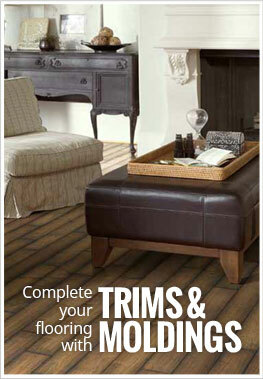 Size – Laminate floor planks are 7.7" wide x 47.8" long. Recommended Uses – Mega Clic's French Oak laminate series is recommended for installation in many versatile traffic areas of the home including family rooms, basements, movie rooms, bedrooms, and more. Impact resistant to high traffic. Looks and sounds like real wood. The Flooring Inc team was very helpful in the ordering process. Thank you for helping me find my new floor! I had a great experience from flooring inc. They had the specific laminate I was looking for at a wholesale price and shipped directly to my home. Their customer service team was responsive to any questions I had via email and by phone. The company is also very responsible as they honored their price match policy when the price changed about a week later and reshipped parts that were damaged during shipment. The quality of the laminate I received was excellent. The shade and textures are wood-like with the benefit of scratch resistance and waterproofing. It gives the room a modern look. 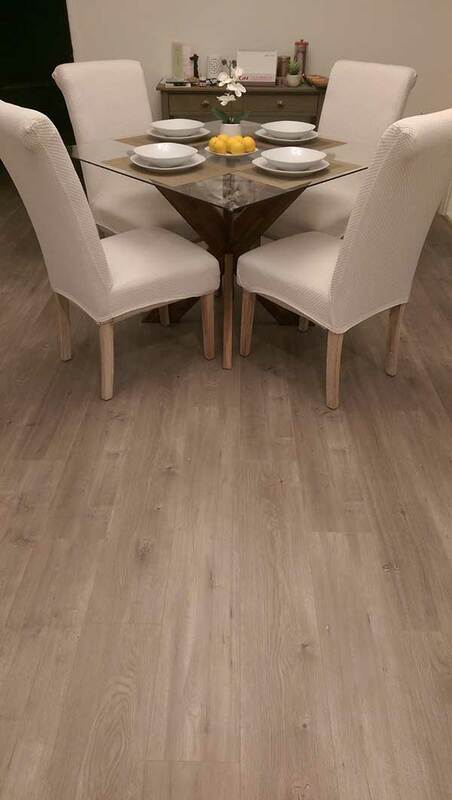 For anyone looking for quality flooring at wholesale prices shipped directly to the consumer, I would definitely recommend checking out flooring Inc.
Strong and sturdy floor, I love it!